Remove the large stem of the cauliflower. Run your knife around the center core and pull it out. Cut the cauliflower into bite-sized florets. For the batter, whisk the eggs and flour in a large bowl. Add the bread crumbs to another bowl. In a large frying pot heat well the olive oil. Dip the florets into the batter shaking off the excess as you go. Then dunk into the breadcrumb. Gently add to the hot oil. Do not overcrowd the pot with florets. Fry, stirring occasionally until golden all over. Using a slotted spoon, transfer the cauliflower to a plate lined with paper towel. Repeat if there are any florets left. Sprinkle with salt while hot. For the yogurt sauce, combine all of the ingredients in a mini food processor. Blend until smooth. 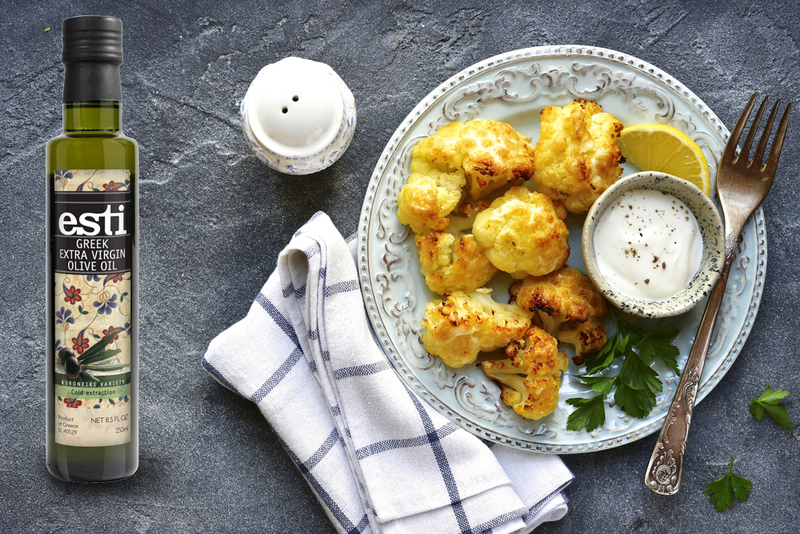 Serve your fried cauliflower warm with the dill yogurt sauce on the side.